High quality hexagonal shaped women's sunglasses. If you have a market for women who want the futuristic fashion look, these shades for your store. Sold by the dozen. 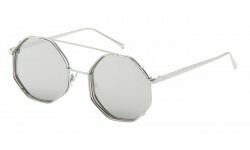 Retro meets the future with these trendy sunglasses. Keep up with the most up to date shades in the fahion market today! 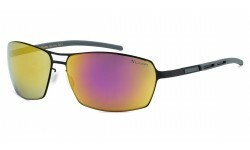 This style comes in solid colors and gradient lens as shown. 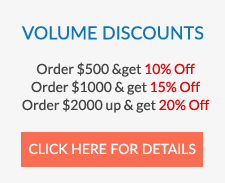 Order by the dozen and get big disounts on volume purchases! 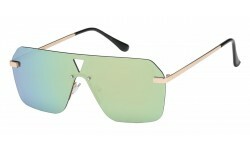 This sunglasses comes from giselle a well known brand for its trendy fashion woman sunglasses. 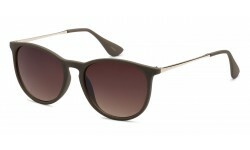 This sunglasses is a a chic one piece rimeless that is bold and fashionable that will give anyone a jaw drop. Its modern feel gives off vibe of feminity and masculinity with a hint of sophistication and elegance at the same time. New cutting edge style with square frame and flat polycarbonate panel lens. For the retailers out there with a market for fashion forward customers, carry the latest styles to hit the eyewear scene. This is a New metal/plastic hybrid fashion non logo style from the Giselle brand! Electrify your customers with the latest fashion sunglasses to enter the shades market! 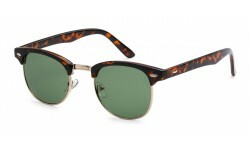 New round/square fashion sunglasses for men! Comes with a hybrid frame of metal and plastic. Also made with metal hinges to ensure top quality craftsmanship. Color assortment as shown in images.